Although Millennials are the minority demographic in many western countries – and overall in Europe, due to the EU’s ageing population – the need for a recruitment strategy that caters to individuals born between 1981 and 1996 is becoming increasingly apparent. As well as offering new perspectives and fresh ideas, this demographic is young enough to be moulded with the right training and, as such, can add great value to any business. But in order to tap into this vital talent pool, companies must adapt, creating work environments that are forward-thinking, sustainable and pleasant places to operate in. Put simply, as more Millennials enter the workplace, companies will need to work harder to accommodate their needs. Here, we list five top tips for recruiting and retaining Millennials. Our research shows that searching online job boards such as Indeed and Monster is the most popular job-hunting approach among Millennials – in fact, 65 percent described online job boards as the predominant tactic they deploy when seeking employment. Searching on Google, meanwhile, came a close second, with around 52 percent of Millennials favouring this method. With this in mind, it’s important to ensure that online job listings are well optimised for Google Search and feature on all prominent job boards. This will give you the best chance of attracting skilled Millennial candidates. A lack of transparency regarding pay was found to be a major factor in sabotaging the recruitment process, with almost 60 percent of Millennial candidates indicating they would like more clarity on remuneration prior to interview. Refusal to provide information about pay can critically impact a candidate’s relationship with your business. This is due to the fact that withholding information about the candidate’s future salary demonstrates a lack of consideration for their financial commitments and aspirations. Millennials also prioritise work-life balance. As recruitment is often a time-consuming process, it is important to ensure you’re not wasting a candidate’s time, as this will leave them with a negative perception of your company. With Millennials more likely to pass over job listings that do not disclose pay, it’s vital that companies ensure they are upfront about remuneration. If the salary for the role is variable and reflects experience, provide upper and lower parameters to give candidates an idea of what they can expect. Our surveys show that Millennial candidates prefer interviews to be more comprehensive than previous generations. As such, there are several key elements to include in your interview process to make it Millennial friendly. These include introducing candidates to the people they will be working with, showing them around the office and their workspace, and offering flexibility around the interview itself – for instance, you could conduct a remote interview for the initial meeting. One of the main complaints Millennials cite during the recruitment process is a failure to provide feedback on unsuccessful job interviews. Some have even speculated that this lack of feedback in the recruitment process has increased the frequency of ‘employer ghosting’ – a phenomenon in which workers leave their jobs without giving notice. A failure to give feedback indicates a lack of care and personalisation in the interview process, which, in turn, leads to a lack of commitment and emotional investment from the candidate. When conducting interviews, always provide unsuccessful applicants with feedback on their performance. Don’t risk tarnishing their view of your company by failing to do so. According to research published by the London School of Business and Finance, 66 percent of Millennials are dissatisfied with their current jobs and want to change careers. Many cite workplace culture and environment as key contributing factors. A study by Deloitte, meanwhile, found that 71 percent of French Millennials felt family was the most important thing in life. In order to cater to this belief, a workplace should implement flexible working hours to allow employees to navigate hectic family schedules with greater ease. 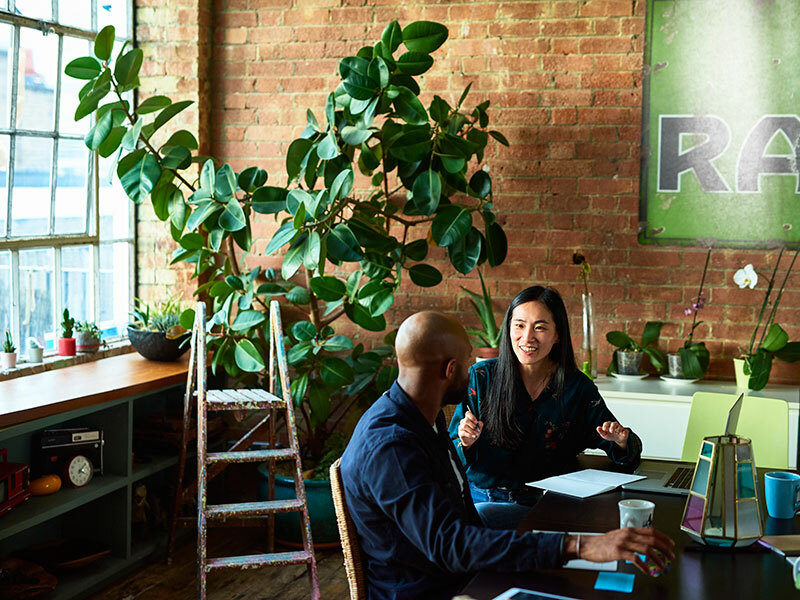 Millennials are also increasingly prioritising office culture, with many seeking out biophilic office designs that improve productivity, creativity and mental health. With this in mind, it is vital that businesses provide an environment that not only attracts Millennials, but helps retain them, too. Consider moving away from a traditional open-plan office design, prioritise flexibility within the workspace and maximise sunlight in order to maintain a Millennial-friendly atmosphere.